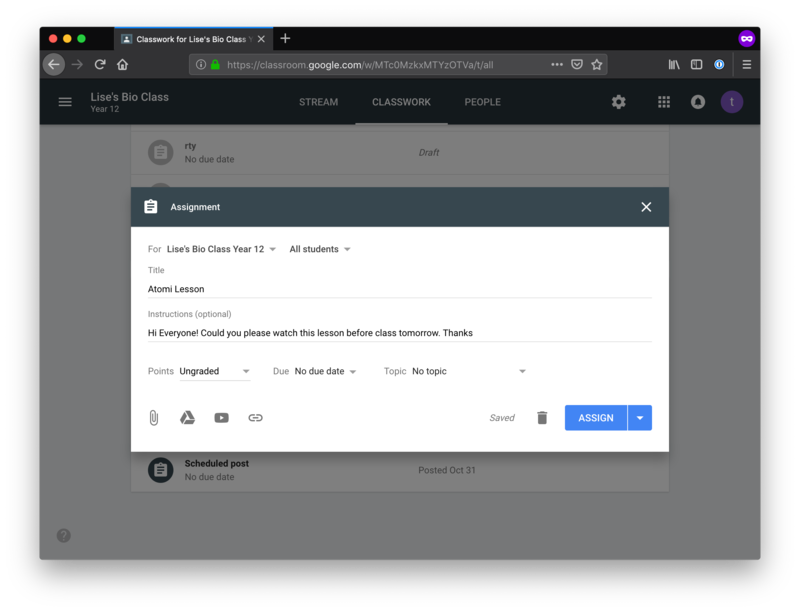 Assigning or linking lessons to students using the Google Classroom assignment feature. 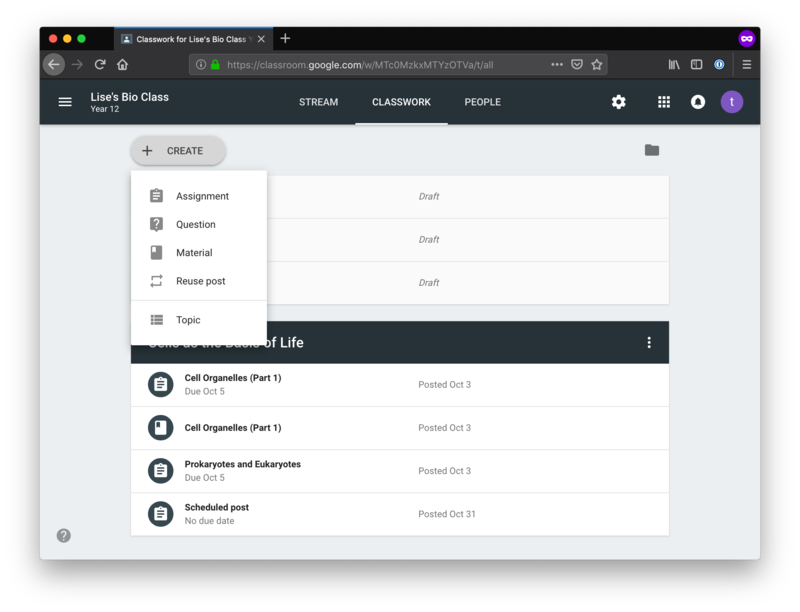 If you school uses Google Classroom as your LMS system it is quite simple to share an Atomi lesson with your class. It's important to note that your students will only have access to lessons inside the Atomi classes that they are members of. 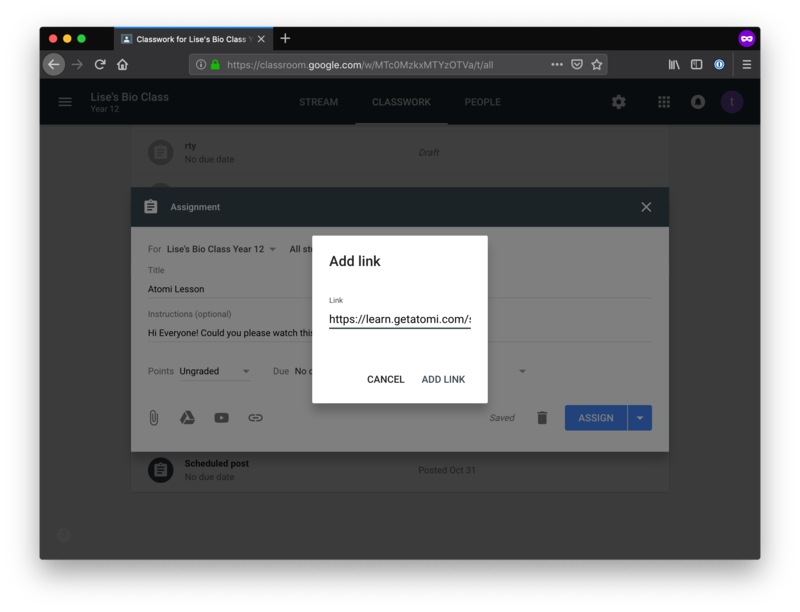 If you assign a lesson to a student and that lesson is in a class the student is not a part of they will receive a permissions error and will not be able to access it.